I found this little gem at adsoftheworld.com. I think most patients can appreciate the humor of Dr. Dunec located in Toronto, Canada. Last week I read a few articles about a man named Anthony Ghosh, aka "DJ Talent." Three years ago he invested £7,000 to have gold crowns placed on all 28 teeth. According to Ghosh, this was to improve his image as well as his career. Now, due to the poor economy, he is considering selling the gold and switching to porcelain. I found the idea a little confusing. At my dental school gold and porcelain crowns cost roughly the same, and the value of the gold is about 1/4 the cost of the procedure (at most), so switching a gold crown to porcelain wouldn't save you any money - despite the increased value in gold over the past three years. Ghosh reportedly is asking £14,000 for his old crowns. Dental Ninja - Have you looked into how much it will cost to replace all of the gold crowns with porcelain and how much money you would save? 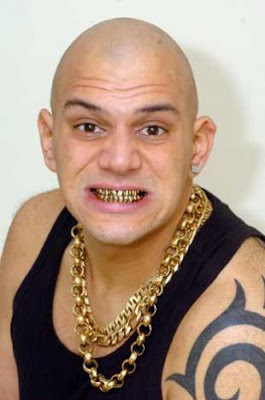 DJ Talent - To sell my gold teeth it would cost £14,000. So I will save £4,000 . On the sale of my gold teeth. DN - You originally got the gold crowns to help your image and career, do you feel this was a success? Do you regret your decision? DJT - Having gold crowns has made me famous and unique and got my name out there in the bbc news and on radio and in the sun newspapers. So I am pleased with the teeth making me a natioanal star no regrest. DN - Reports have mentioned you were the victim of several mugging attempts because of your teeth. Was your safety at all a factor in deciding to switch to porcelain? DJT - I haven't switched to porcelain yet. If my music and filming takes off next year I will keep my gold teeth. I have been offered porcelain teeth by tv companies and they want to do a documentary but I am not sure if I want porcelain yet. My life has changed being a high profiled dj with gold teeth. I need to lead a low profile now and I can't go to public busy places. The gold teeth have brought me alot of success and recignition. DN - Have you considered getting a removable "grill" to keep up the image? DJT - I haven't thought about removable grills but I am interested in other dental solutions and ideas. DN - I read that you spent £7000, but you're hoping to sell them for £14,000. Is that because of the increase of gold prices or your celebrity status? DJT - Because gold has gone up my celebrity status has grown and the teeth has made me become a unique national star. For more info on DJ Talent or to hear some of his music, visit his myspace page. Recently Heidi Klum was a guest on The Tonight Show where she revealed an interesting quirk: she still has all her baby teeth. Look closely. Can you tell? Ok, so she still has all her baby teeth, but not in her mouth. She keeps them in a little baggy that she carries around for good luck. Watch the full interview below. They discuss her teeth beginning at about the 4 minute mark. Saved by the skin of his teeth! Here's another good reason to floss - it could save your life. A couple weeks ago a 62 year old was ice skating on the Mississippi River when he fell in. He spent about an hour in the water before some local help, including his own son, were able to retrieve him - but it wasn't easy. The man disappeared under water so the son dove in and kept him afloat while the rescue team worked the rope towards him. 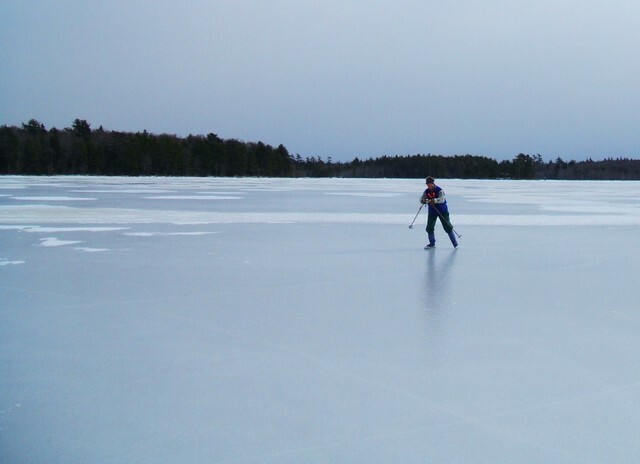 The problem was that after an hour in the icy water, his hands no longer functioned, so his son suggested he bite on the rope while they tow him to safety. It worked, the man survived, and today he has his healthy dentition (as well as his son and the local law enforcement) to thank for it. You'd probably be a little more at ease. 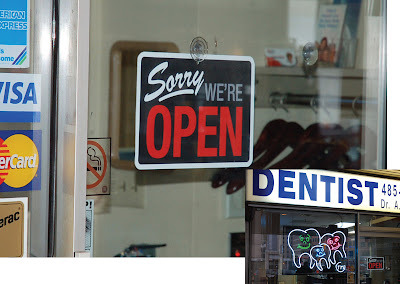 Here's the story of a father and son dental duo who recently performed 4 root canals and 3 extractions to heal the feline (who happens to be a Mexican Jaguar) of his self-inflicted dental dilemma. It took a total of 6 doctors, plus a rifleman (just in case) to complete the work. How big were the endo files used in the root canals? Where do I get a rifleman?